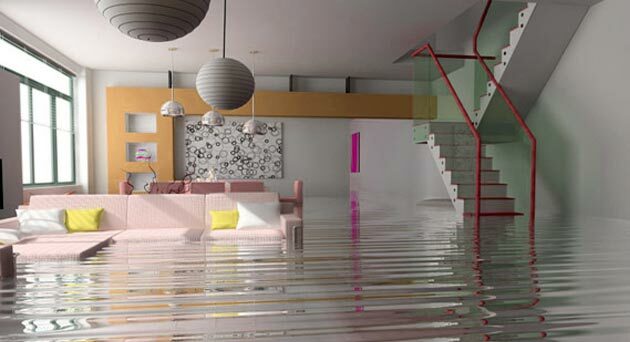 Residential indoor floods can occur for many reasons. Whether the source was an overflowing toilet, leaky pipe or broken water heater, the damage that a homeowner is left with can be quite extensive. The first step once a flood is discovered is to find the cause and stop it. If you cannot find it’s origination, the best thing to do is turn the main water off, to prevent any further water from accumulating. Once the flow has been stopped, if possible, move any furniture that is in the way or at risk of damage onto dry ground. At this point, it is best to try and mitigate as much damage as you can. Now it’s time to call a Las Vegas carpet cleaning service for help. Most water extraction or flood removal companies operate on a 24 hours a day, 7 days a week basis, so finding one to come out any time of day or night shouldn’t be a problem. Most companies will charge an after-hours surcharge to come out if your incident occurs in the evening or on the weekends, but it is imperative to remember that the longer the water sits, the more damage it can cause to your floors, walls, and/or furniture. Leaving the stagnant pool of water in your home until the morning to save a few bucks on the service call, will probably wind up costing you more in the long-run on repairs. Once your Las Vegas carpet cleaning service technician arrives, the first thing done is usually a walk through with a moisture detector. Just because an area doesn’t appear to be wet, doesn’t mean that water hasn’t found its way underneath the flooring, either soaked up in the padding or concrete. After moist areas have been identified, water extraction begins. Professional extraction removes water over one thousand times faster than dehumidification. A standard extractor can pull approximately 25 gallons of water per minute, as compared to a dehumidifier’s 30 gallons per day. All water is extracted from existing carpet, tile and other flooring, in addition to water that has found its way under cabinets. The primary focus is to dry out as much material as possible, to save it from needing replacement. Sometimes, replacement is inevitable. When dealing with water extraction from carpet, depending on the source of flood, it may be best to just replace the carpet altogether. For example, if the flood was caused by a busted sewer pipe, our technicians would be more likely to encourage carpet replacement, than if the flood was caused due to a broken water heater due to sanitary concerns. The same goes for the length of time the water has been left standing. If it has been more than 2-3 days that water has been left, replacement would be recommended to reduce exposure to any mold that could have grown in and/or under the carpet. After all possible water has been extracted from all surfaces, fans are placed throughout the area to assist in the drying process. These air movers will stay in the area for 2 – 3 days to assist in the drying process. It is best to have the temperature as warm as possible to increase the speed in which the moisture is evaporated. The entire process will take a few days, but is dependent on the size of the flooded area.